I am a web development professional, I have made a living as a web professional over the last 15 years as my sole means of employment. Back then getting browsers to agree took a degree of dedication, determination and grit that was unimaginable to those outside the profession. The tools available for DIY website owners were unwieldy, clunky and downright sucked. Fast forward to the present, you have your choice of elegant platforms and tools which not only work but do a pretty amazing job in creating a website with little or no knowledge of coding. Examples of these platforms are Squarespace, Wix and Weebly which are three of the more popular ones available. The proliferation of these tools seem to herald the demise of the professional Web Developer, but is that really the case? Far from it actually, the advances of platforms like the ones mentioned above actually is dependent upon developers actually charting the path of whats possible on the internet, it is this constant pushing of the boundaries of the internet that actually fuel the development of these semi-automated platforms. The bigger reasons though is that online success goes well beyond having a website online. If you build it, will they come? Probably not! And if you disagree with me, look at the statistics on your Squarespace, Weebly, Wix website…your biggest fan is most likely yourself. Sure there are the rock-star case studies of do it your selfers who find success on these platforms but those persons are pretty much in the same circle as the folks who win the lottery… few and far between and while we all would love to win the lottery, we work hard and bet on surer paths to success. There are tons of tutorials and advice on how to build traffic, create content, and to become the toast of the social realm but the reality of life is that most business owners do not have the time to learn or implement these strategies, between the demands of running a business, your family and real life commitments there is just not enough time for them to effectively manage there online presence. So the question is, should you do something just because you can? Sure most of us could raise our own cows and plant our own corn, but does it make sense to do so? Managing a website goes beyond updating text and images. 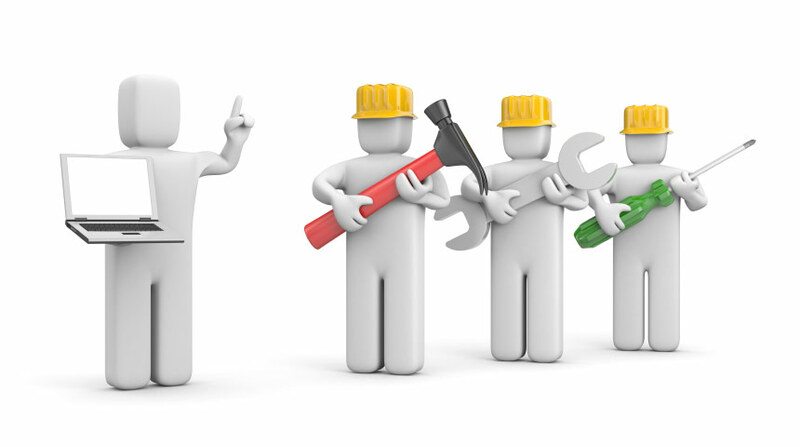 Even if you do the bulk of your maintenance yourself from time to time you may need help to fix your site if something breaks or you need to extend your website beyond the capabilities of the platform its on.